We loved them so much last time, they’re back to entertain us once more! 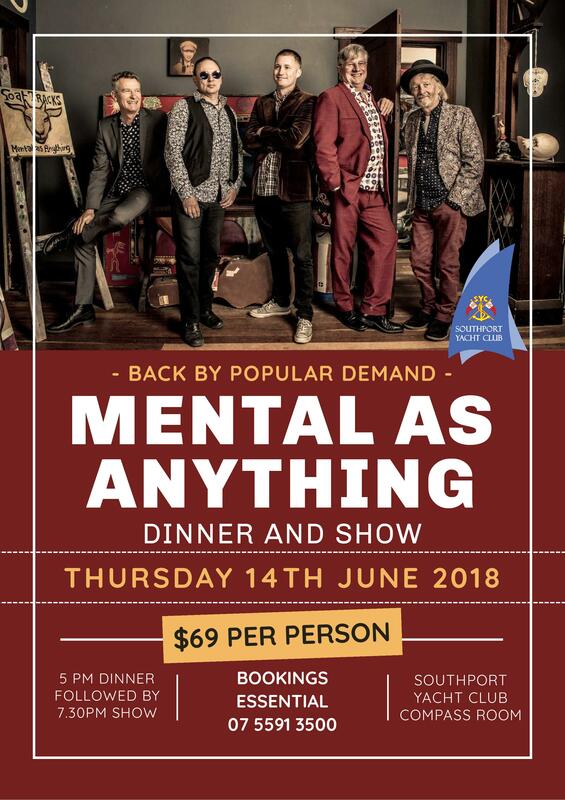 Mental As Anything will be at Southport Yacht Club performing live on Thursday 14th June, in our upstairs Compass Room with gorgeous views over the glittering marina. We will provide the food as well as the music, with a two course dinner at $69 per person. Bookings are essential on 5591 3500.